This is a Watervliet Arsenal marked Artillery Gunners Level, also known as a "Perpendicular". 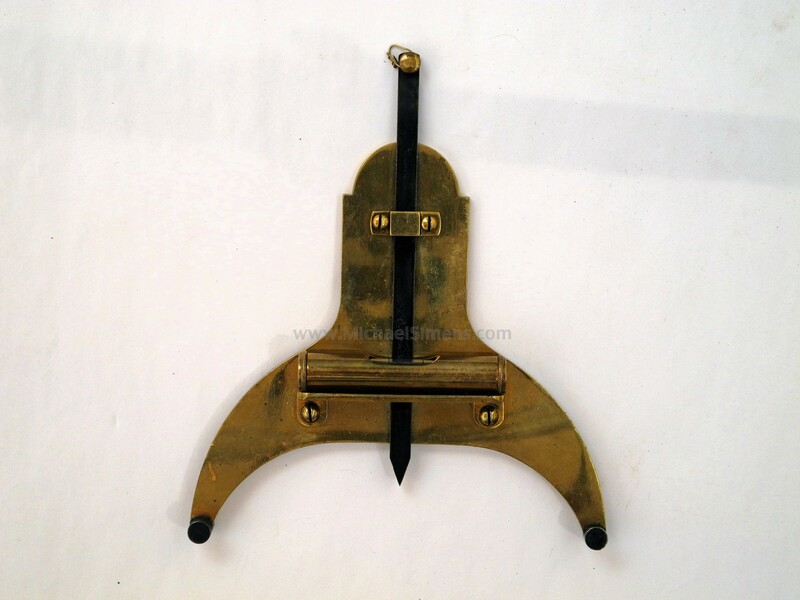 There were used by Artillery men for sighting their artillery pieces. 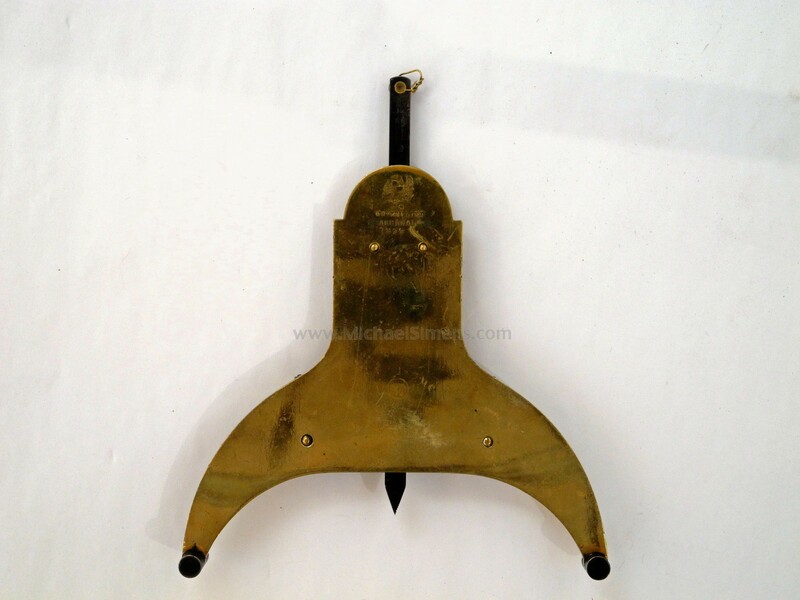 Fabricated of heavy brass, this example shows crisp maker’s markings of a Patriotic Eagle over “U.S. 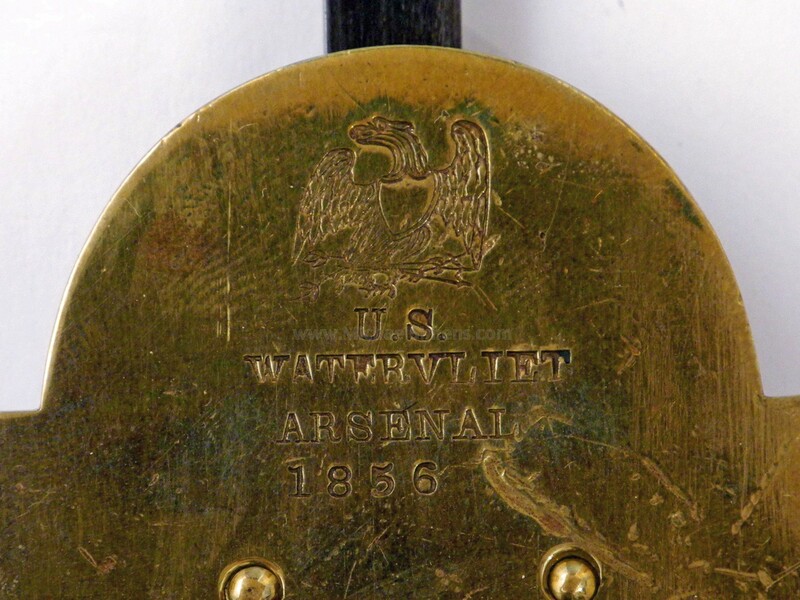 / WATERTOWN / ARSENAL / 1856” and is in near mint condition. At one time this piece appears to have been polished and now has a darkening patine. I don't know how they looked when new, but this shows such faint amount of use that the finish could be original. It's the best one I've ever seen and with an early date. Perfect to compliment an artillery collection or to go with one of the great cannons on the pages of this website.